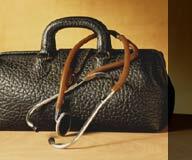 "Studies of lung sounds have been reported with increasing frequency in recent years. This conference is convened to provide an opportunity for exchange of ideas and experience among those who have an active interest in the subject. Clinicians, physiologists, engineers, and perceptual psychologists can each contribute towards a better understanding of what lung sounds mean. They will have a better chance of doing so after talking together". "We hope that comparisons of methods of recording, analyzing, and describing lung sounds will reduce ambiguity. We hope that discussions about work in progress may prevent unnecessary duplication of effort. We hope that investigators will save time and avoid some mistakes by learning what others have done". Enthusiasm generated by this conference has continued, and annual meetings have been held since. These annual conferences have typically occurred over a period of two to three days, two days being devoted to presentation of papers with discussion, and a half day being devoted to a workshop. Attendance at the conferences has averaged about 50. 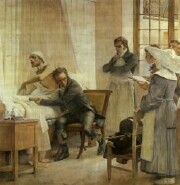 René T. H. Laënnec (1781-1826), inventor of the stethoscope, listens with his ear against a patient's chest at the Necker Hospital in Paris. Today, members of ILSA develop new technologies to expand the use of lung sounds in medical diagnosis. Perspectives (History of ILSA): slide presentation by Dr. Raymond Murphy at the ILSA 2013.